Questa spaziosa suite fronte oceano ben arredata è stata appena ristrutturata (2016) e dispone di un lanai privato con angolo bar, una cucina completamente attrezzata, 3 TV via cavo, lavatrice / asciugatrice. Accesso a computer a banda larga via cavo / Wi-Fi senza alcun costo. La camera da letto principale ha un letto king size, TV. Master bagno ha vasca e doccia a pioggia. La seconda camera da letto ha un letto king size e una completa cabina armadio, TV. La terza camera da letto "loft" si affaccia sulla zona giorno e dispone di un letto queen size. Il bagno principale dispone di doccia a pioggia e una vanità di due lavandino. Queste confortevoli camere con aria condizionata * sono progettati per la privacy e la vita dell'isola casuale. Relax in mezzo a giardini tropicali fresche. Godetevi 3 piscine, campi da tennis illuminati, barbecue a bordo piscina. il tutto in un complesso con 24 ore di sicurezza gated. We love staying in this home! The accommodations are perfect and the view is over the top!! The property is great. Three pools and tennis courts along with a close by golf course. And again-those views!! Nice, comfy condo with ocean front view that was simply amazing. 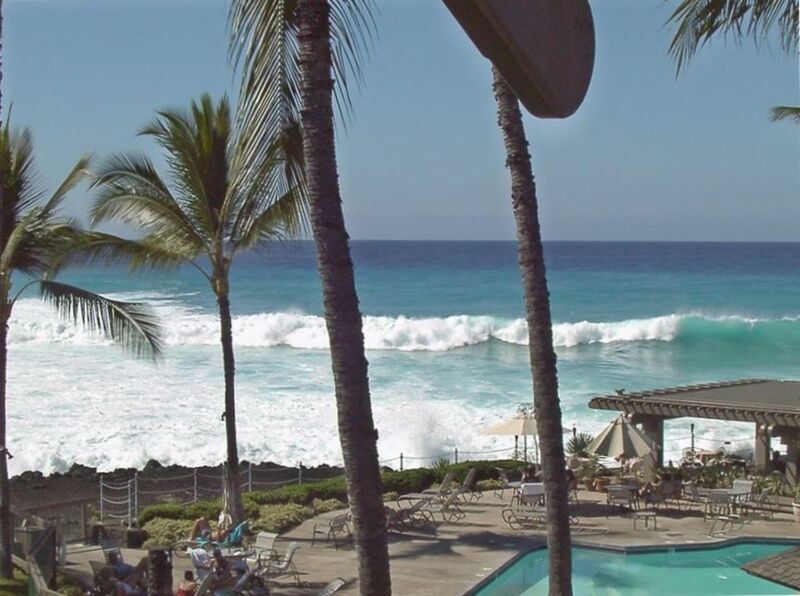 We could sit on the lanai and watch the whales. Had one question upon arrival that owner quickly responded to. If we came back to this island we would definitely stay here again. Thanks so much! Well appointed, clean, with excellent furnishings. Wonderful lanai with great sunset views. We just loved having coffee in the morning on the balcony looking west over the ocean. The condo was very clean and we just loved the very large master bath and shower. The beds were very comfortable! It truly is like home away from home. Shopping for groceries was very close by with restaurants as well. The view is incredible!!!! The sunsets were just FABULOUS. Can't say enough good things about our experience. Very quite and peaceful. Thank you for letting us stay, its the best! Its always great to hear that our guest,s had a good time. We had a nice first visit to Hawaii. The grounds were beautiful, the condo very nice. The property was very nice and well taken care of. Very spacious. The bathrooms are super nice. View is spectacular. Our only issue was air conditioning. Havig never been to Hawaii, we weren’t sure it it was normal to have it set on a timer, made for some rough late afternoons when we were returning from long hikes. Once we got used to it, it was ok.